Riding in a Jeep is great fun except for the truck’s propensity for interior noise that makes it difficult to engage in conversations or even enjoy vehicle audio systems. Now there is an easy solution. Boom Mat’s new Jeep Wrangler Sound Deadening HeadLiner provides a simple pre-shaped peel and stick kit that dresses up the interior of Jeep hard tops while minimizing annoying outside noise and vibrations while insulating from exterior weather conditions. Installed Boom Mat’s new Sound Deadening HeadLiner has been tested to reduce noise levels from 3 to 4 decibels. This is a significant change in sound level that will improve overall interior acoustics so Jeep occupants can enjoy audio system and have conversations without excessive and irritating “noise” distractions. 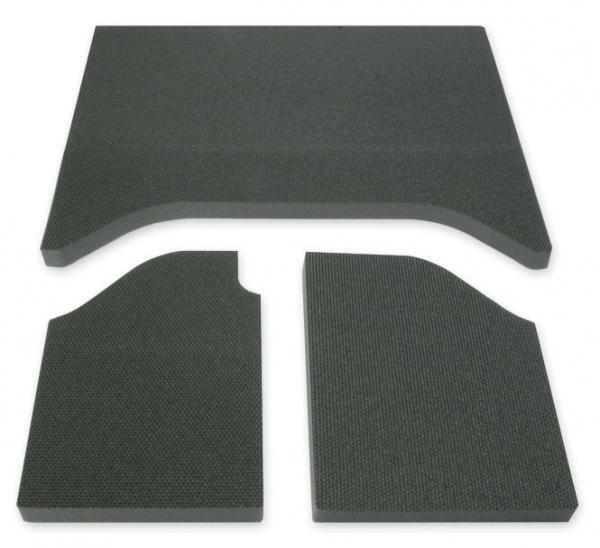 Boom Mat Sound Deadening HeadLiner is available in black for 4-door (4-piece-# 050131) and 2-door (3-piece-# 050132) Jeep Wranglers 2007 to 2010 hard tops.